Bosco is Back and Wants Your Old Batteries! Bosco and the good people at WEEE Ireland are asking all the boys and girls to gather up their old, used batteries as new electrical toys and goods come into houses around the country over the Christmas period. 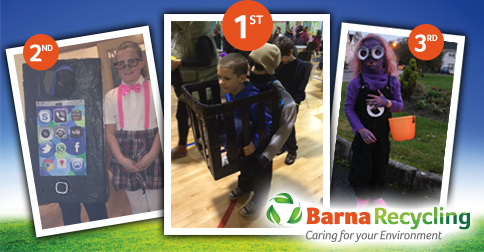 Congratulations to Our Halloween Competition Winners! Help! What Goes in My Brown Composting Bin? We get asked this question a lot so we decided to answer it in today’s blog post. A general rule of thumb when it comes to composting is that anything that was once living can be composted. Click here to visit our handy guide which lists the items you can place in your Barna Recycling Brown Bin. The contents of your brown bin is taken to our purpose built composting facility with the capacity to manage 40,000 tonnes of organic waste annually. Here the waste is processed into compost for use as a natural, high quality fertiliser for use by farmers and horticulturalists. 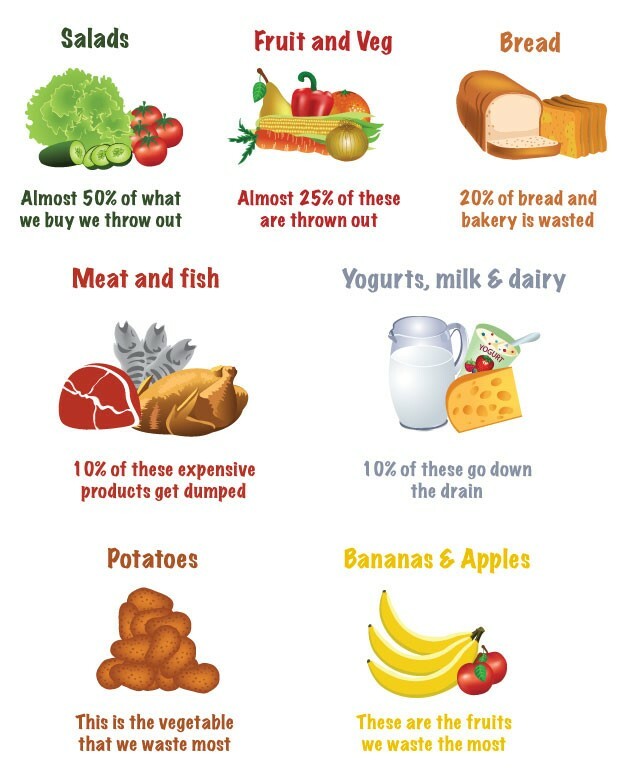 The Foods We All Throw Away! The Stop Food Waste programme has done some fantastic research into the food we all throw away. Their research highlights that we are all creatures of habit often throw out the same types of food, for the same reasons, on a regular basis. Bank of Ireland’s Junk Kouture in association with Repak is an exciting competition for secondary school students which challenges teenagers to create high-end wearable fashion from everyday material that would normally find its way into the bin. Junk Kouture aims to inspire and ignite passion in these teenagers while at the same time subtly educating them about the importance of recycling and reusing waste. Over the last four years, Junk Kouture has established itself as the premier recycled fashion competition for teenagers throughout Ireland and Northern Ireland. To find our more visit www.junkkouture.com! 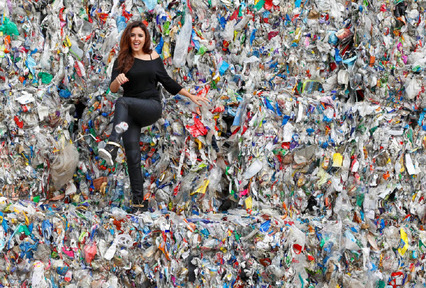 Ireland has climbed up the rankings in terms of recycling packaging in the EU from fourth place to second, according to figures released by Eurostat. Research indicates that 98pc of the Irish public are recycling. In 2013, Repak collected 712,054 tonnes of packaging, of which 39pc was paper, 28pc glass, 27pc plastic and 5pc metal.Irish businesses have invested €300m through Repak to ensure that their packaging is recycled over the past 17 years and Repak has helped to grow packaging recovery from under 15pc in 1998 to nearly 79pc last year. Repak also reveals that it recycles 3.72 kgs per household, per week, the equivalent of five cereal boxes, 10 pizza boxes, 2 wine bottles, 15 butter tubs, 40 yoghurt pots and 15 drinks cans per house per week.“Being upgraded to the No 2 in Europe is a major milestone for Ireland’s package recycling story. This is due this success to the collective efforts of our members, recovery operators, Government, Local Authorities and consumers,” said Seamus Clancy, CEO Repak.